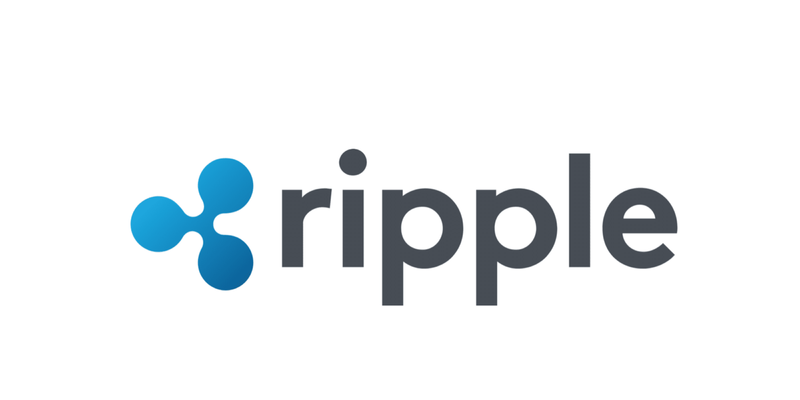 HomeRippleThe Ripple’s XRP Forecast 2019: Is below $1 XRP more realistic than $20 per XRP? This year the company Ripple and its crypto currency XRP had a lot going on: The violent crash in 2018 brought worry lines on the forehead of followers and investors. From more than three dollars per coin in the meantime, it went down to below 0.30 USD by December. However, the crypto currency recovered in December 2018 and numerous new partnerships and projects were concluded. Where is the journey going in 2019? The XRP forecast looks promising. But is 500 US dollars per coin really possible? The forecast. The bank crypto currency – so called because the company cooperates with many international banks and payment service providers to build a global payment network – is often scorned in the crypto scene. Many supporters of other currencies such as Bitcoin, Monero, Dash or Ethereum do not like the crypto currency around CEO Brad Garlinghouse because it relies on the banks. Many other cryptos want to make exactly these banks superfluous and create decentralization. CEO Brad Garlinghouse’s company, on the other hand, uses its technology to offer payment services that enable money to be transferred to other countries and currencies within seconds. And that at 40 to 70 percent lower costs. It has often been written that XRP performed significantly worse than all other top currencies in 2018. But that’s not true. If you look at charts, you can see that the XRP behaved exactly like the entire market has. That is not particularly good now, but also by no means bad. One cannot say thus that the bank crypto currency performed worse, than the competition. But what are the forecasts for the coming year? Currently XRP price is in a range of 0,30 USD and 0,40 USD. Only if it breaks out sustainably can it move back towards the 1 dollar mark. Or at least if you follow the charts. One looks at the chart – the development of the price over the last few months and years – and receives important signals from an analysis. However, the bank crypto currency should no longer fall below the $0.36 to $0.38 mark. This would trigger new sell signals. What is important is to regain the price hurdle of $0.43 to $0.44 and then the price level of $0.52. Once the coin has managed this, there are no more obstacles in its way up to 0.76 – 0.80 dollars. That was the pure chart technique, but what do experts and the Ripple News say about a XRP price forecast? There are numerous sites that have predicted potential future price targets. The truth is: No one can really know. You can only get close to a goal by good arguments and numbers. The experts of investinghaven.com expect that the coin can rise up to 20 dollars within one year. That sounds better. But what arguments can they put forward? Thus the authors say that the XRP gains in value, because one can settle thereby world-wide payments in the future. Every year, about 30 billion US dollars would only be incurred in fees for international transfers and currency exchanges. The Ripples system could save about $16.5 billion. And it would do so every year. The company is also planning another application called Xpring. This will allow even more people to work on the blockchain and use the coin. Goods will also be developed and traded on the Blockchain. The authors attach great importance to this and think that the bank crypto currency will become the number one in its field, similar to the large platform companies Facebook, Amazon and Google. And this platform or network effect is likely to cause further increases in forecasts for the crypto currency. These platforms function according to one principle: The winner takes it all. The experts thus arrive at a forecast of 20 USD. In support of this, they take the long-term chart. If this is continued into the future, an XRP coin could actually cost USD 20 next year. Together with its partner American Express, the company has succeeded in gaining a foothold in the Chinese market. American Express is allowed to settle in the Chinese currency Yuan and thus the XRP is likely to be used for currency exchange. This step was very important, because China is a gigantic market and is already paying a lot electronically. CEO Brad Garlinghouse and his product manager Craig DeWitt were very enthusiastic about this step and the entry into the Chinese market. China is expected to have about ten billion credit cards in circulation by 2020. This will result in an enormous payment volume and thus a positive forecast. Another reason is that there is no XRP mining. All about 100 billion XRP that will ever exist have already been created. That tightens the supply and causes rising prices sooner or later. In addition, payments must be paid with 0.00001 XRP fees which are burnt, so the amount of circulating coins slowly but surely decreases. This won’t have a huge effect over the next few years, but in the long run, these circumstances should not be ignored. Also important are the partnerships with the banks Santander and UBS, as well as the credit card provider American Express. Through these already existing cooperations, further companies should become aware of the bank crypto currency, which will lead to a further positive XRP forecast. The Bill and Melinda Gates Foundation is already using the company’s blockchain technology. Millions of people in the third world will be able to have a bank account on their smartphone and get a digital loan. The companies Visa, Amazon and Google could also be interested in working together. Because these companies worldwide are turning over billions of dollars, but the money sometimes takes up to five days to get to the right account. With blockchain technology and XRP, this should be much faster and cheaper. Let’s look a year further and venture a forecast for the future. After Ripple 2018 didn’t go particularly well and the year ended with a minus of about 60 percent, the question arises what will happen in the coming years. There should not be another XRP crash. The currency’s intrinsic value is too high. But what seems realistic now? We have already seen a few forecasts and also reasons for a positive outlook. In 2020, the value of the XRP should continue to rise significantly, because many experts see 2019 as the year of fate for most crypto currencies. Only those who have an application case in the real world are likely to survive in the long term. After all, numerous coins exist only because someone wanted to earn money through an Initial Coin Offering (ICO) – an IPO of a crypto currency, for example – or because the coin is supposed to be a store of value like the Bitcoin. But there is no need for 2000 stores of value. So it should now be sorted out, which means that there will only be a few hundred crypto currencies left. These should then rise in price because they have shown that you need them and their blockchain. One of them is always the XRP, which is why the XRP ple forecast for 2020 looks very good. There are no concrete price targets here. But if things go well next year, the XRP coin is likely to exceed $20 in the following year. What does the final forecast look like? Basically, no one can say exactly where the coin is going. However, it seems that there are many more positive opinions than negative ones. The bank crypto currency has many applications and is used by many international companies. These partnerships are likely to become even more numerous in the future and the coin will come into circulation even more. Due to the platform and network effects, the price should be forecast higher than today. Forecasts are always difficult, but chart technically possible. For the coming years there are forecasts up to more than 20 US dollars and even 500 US dollars are proclaimed from time to time. That seems to be a bit too high again, but the XRP could gain up to $100. Then it would have a similarly high market capitalization as gold. Why shouldn’t that be possible?